dont try to think about hp. 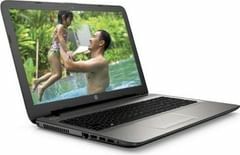 no support regarding purchase or even products are having hell lot of issues.............if you are doing nothing then purchase hp laptop and you will not find time to live...........just not recommended product........please dont purchase it............i did so.............and dont know what to do now?? nothing as specified and dont go by fancy words............please dont get trapped!!! !